In California a BAR sticker on your formerly non-compliant car is like a golden ticket into Willy Wonka's factory. 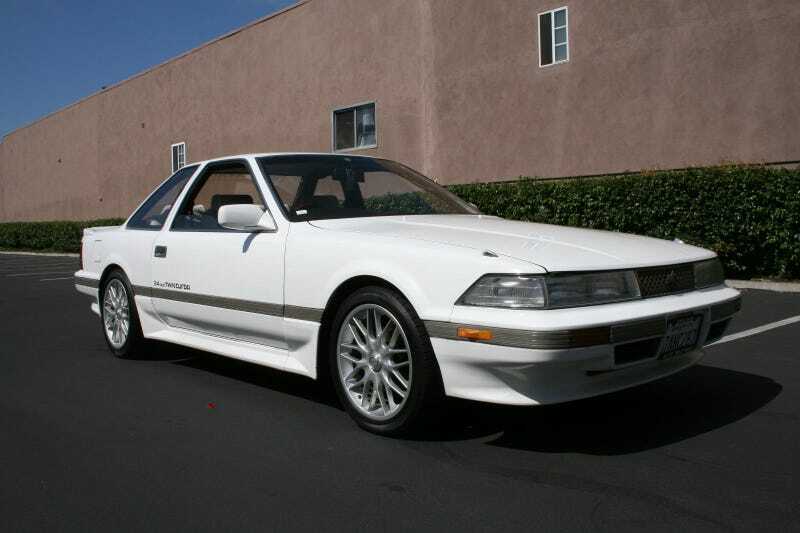 Today's Nice Price or Crack Pipe Soarer has passed the BAR, but does its price make it golden? With a 72% Nice Price win, yesterday's 1984 Pontiac Fiero Indy Pace Car really built the excitement. Owing to its being native-born, that plastic Pontiac could go anywhere in the States its new owner wants, because, well, FREEDOM! In contrast, today's immigrant from the East might just have the Feds asking for its papers at every border. Let's get this out of the way- California has bad air. I know, right? It's remarkable that the state considered to be one of the most progressive in the nation, as well as one of the country's most abundant agricultural producers, would have issues with pollution, but along with our left-leaning politics we do like our cars out here. According to the American Lung Association, The top-five cities for ozone and particulate air pollution are all, shockingly, in California. Now, to be fair, some of the least polluted burgs are also in the State, but the bad out-number the good. Over the years air pollution - especially the eye-stinging, vision blocking kind from when I was a kid - has gotten a lot better, and much of that is attributable to California's strict emissions standards on both stationary and mobile polluters, the tightest in the nation. You might think that those emission standards would keep any car that was not originally intended to be clean enough out of the hands of California's rabid but occasionally wheezy enthusiasts, but where there's a will (i.e. money) there's a way. Today's 1987 Toyota Soarer was never meant to touch tire to tarmac in California but this rare bird can now soar the state over as it has been brought into compliance and has been given that green card of the California automotive world, a brand spanking new Bureau of Automotive Repair (B.A.R.) sticker. Can I get a hallelujah? The Soarer was a car that we didn't get here until Toyota introduced the Lexus brand and brought over the Z30 series as the SC model in the early nineties. Previously, we sort of got a taste of the Soarer as they all shared their basic platform with the Supra. What we never got - no way, no how - was the 1G-GTE twin turbo. That 1,988-cc straight six engine was blessed with double overhead cams and pumped out about 190-bhp when stationed in the Soarer. Here that's supposedly been cleaned up to meet California's requirements so it's hard to say just what numbers it offers at present. The double your trouble turbo mill is backed up here by a five speed stick. You'd have to teach your left arm how to row that box as this is a JDM car and as such requires the passenger to do all the work. Also denoting is JDM-ness, there are doilies on the seat backs in the pristine and very brown interior. You also get a Momo steering wheel and Supra-esque seats under the doilies in there. The outside looks just as good as the in, and is about as '80s Toyota in style as you could want. There's 48K kilometers on the clock and the car comes with a big box of maintenance parts to keep you in business without having to learn Japanese just so you can speak to parts counter guys in the land of the rising sun. Speaking of speaking Japanese, I can't tell if the seller of this car is just having a play on words or is making a Clippers owner level racist jab when he uses 'regal' for legal in his eBay ad. It's used in a couple of places, and that, plus the 'Most sale, I hope the offer of only one desired to buy seriously.' at the end of the ad makes me think that either it's an innocent mistake or that the seller is Doge. Regardless of the seller's intentions, we're here to consider the buyer and whether or not one should step up and pay the $20,000 price that's being asked for this regal and legal grey market import. What do you think, should a new owner soar for that twenty grand? Or, is this a BAR-sticker'd car whose price should bar it from ever getting sold? eBay out of California, or go here if the ad disappears. H/T to McSean for the hookup!